ON SALE - GRAB YOURS TODAY! ALMOST HALF OFF! 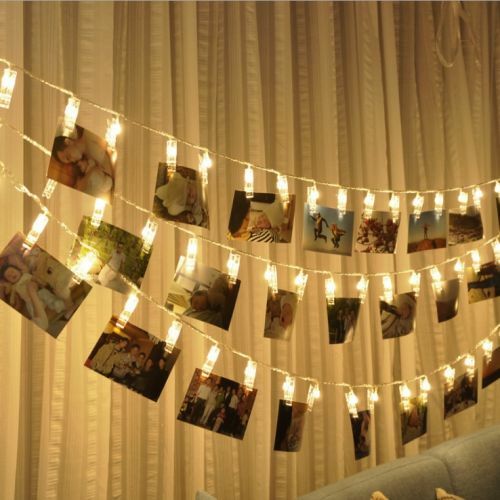 Get this string LED light photo holder in three color shades (white, warm white, and colorful), and in three lengths, 1.5 meters, 3 meters or 5 meters (that’s approx. 5 feet, 10 feet or 15 feet)! 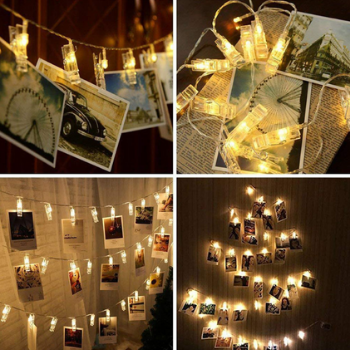 These are fantastic as a decorative piece, displaying the happy couple’s favorite photos for your guests to reminisce about, or you can string them up and let your guests take polaroid photos and leave them behind for you to keep! This is a great way to capture funny moments from the big day – we have many happy couples using these this way. Simple to use, these are powered by AA batteries and attract a lot of attention on the day! CLICK ADD TO CART ABOVE NOW! At The Pinch Point we always work hard to ensure your order reaches you as quickly as possible, however, please allow 2-3 weeks for delivery. Once your order is placed, you will receive an order confirmation email with your invoice. Then, once your order is processed within 24-48 hours of order placement, you will receive a shipping notification email as well. Check our Shipping Policy for more information. If for any reason you are not 100% satisfied with your purchase from The Pinch Point within 30 days of purchase, you may return the item for 100% store credit. This process is very simple, and firstly just involves getting in touch with our friendly customer service team who will guide you through the process. Check out Returns Policy for more information. 2. Our amazing customer relationships. Customer service for us is the bench mark of our success, therefore we work 24/7 to ensure your satisfaction. We offer direct support lines of communication so that we can chat 1-on-1 to ensure your happiness with your product delivery. You can review our shipping policy, track your order status, or contact us directly using the links at the bottom of this page.